The latest award winning garden is designed to celebrate the role water power played in Yorkshire's industrial past and its new role as a source of renewable energy. 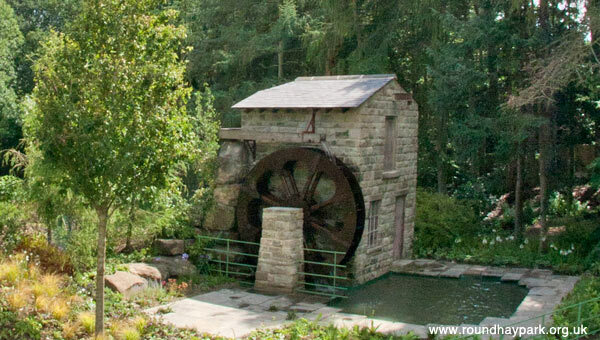 The centrepiece of the Gold Medal winning garden is a traditional Yorkshire mill with a working 3m (10ft.) water wheel. The garden which was awarded a Gold Medal at the 2011 Chelsea Flower Show has now been rebuilt alongside the other award winning gardens in the specialist garden area just off Mansion Lane.